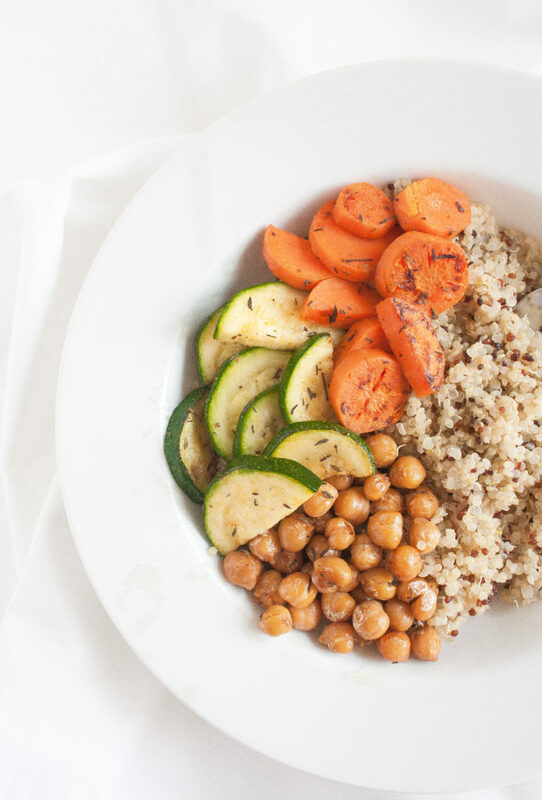 Healthy, vegan, and gluten free quinoa bowls! Looking for something new to add in to your meal prep rotation? Well look no further. 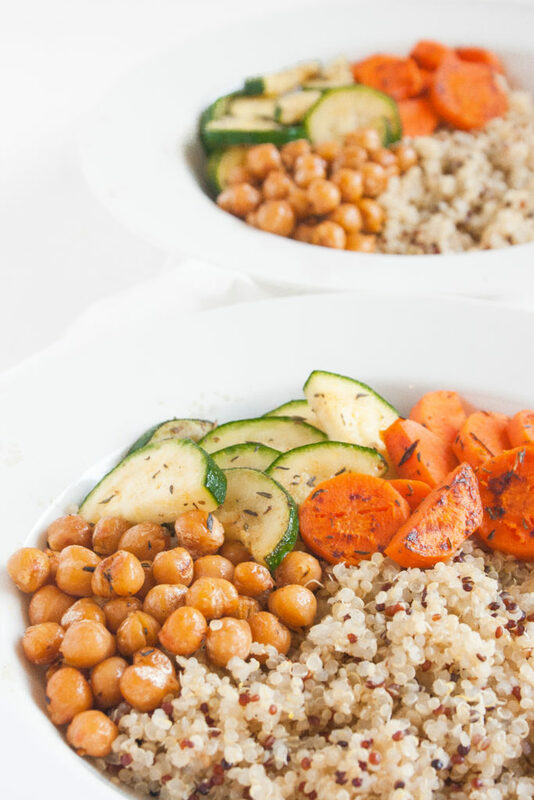 These chickpea quinoa bowls are simple, to make, bursting with flavor, and can be made in just 15 minutes! Iron is a vital nutrient to a healthy, functioning body. It is a key part of hemoglobin, the component of red blood cells that transports oxygen from your lungs and carries it throughout your body. Without sufficient iron, your body can’t make enough healthy oxygen-carrying red blood cells. Furthermore, iron’s oxygen carrying function contributes to mental and physical performance, thus low levels may result in a lack of focus, increased irritability, and reduced athletic stamina. Unfortunately for those who are vegetarian or vegan, getting a sufficient amount of iron can pose a major challenge. And for the rest of us omnivores, a little iron boost here or there will help us greatly (especially if you are like me and not very into red meat). 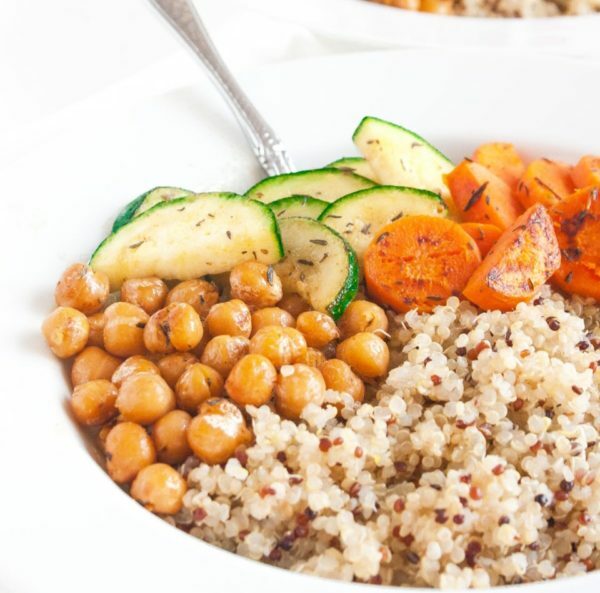 So I present the solution: this delectable chickpea quinoa bowl which packs about 30% of the recommended daily value of iron! 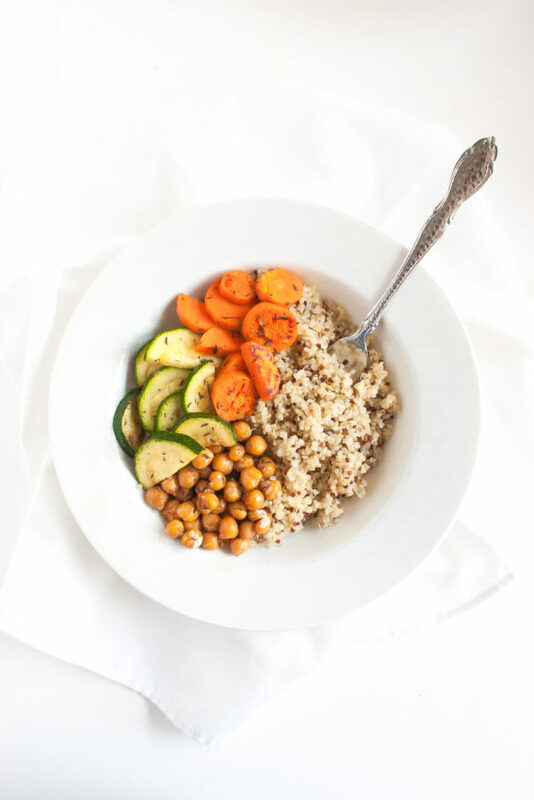 The main contributing iron sources of the recipe are the chickpeas and quinoa which are overflowing with iron along with many other essential micronutrients. 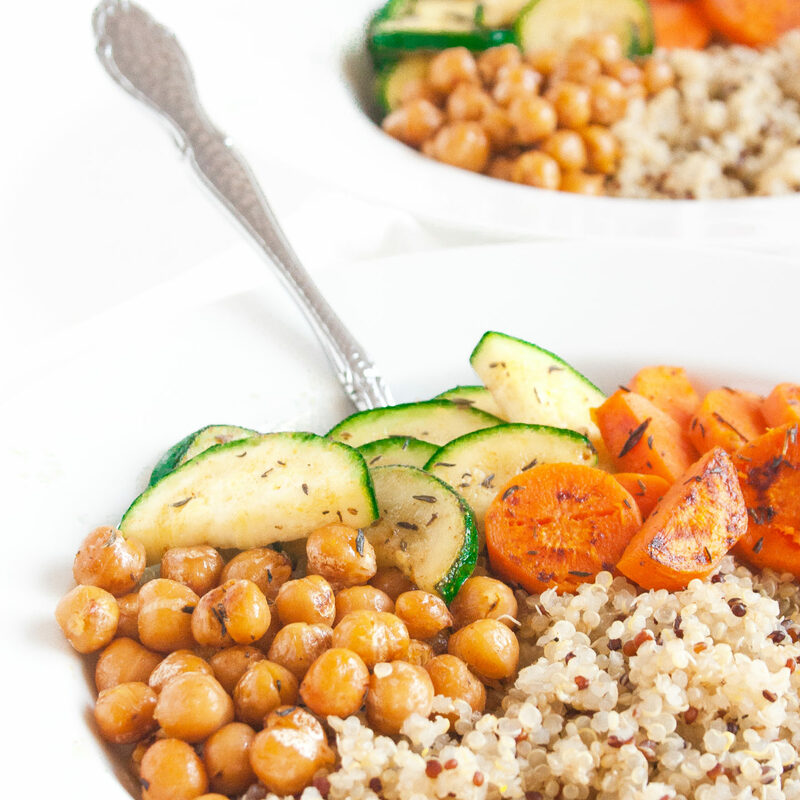 This bowl is a powerful healthy amalgamation of balanced macros, vital nutrients, and plant based protein – enjoy! Heat olive oil in a large skillet over medium high heat. Add zucchini, carrots, chickpeas, thyme, and paprika. Sauté for about 8 minutes or until vegetables are crisp tender. 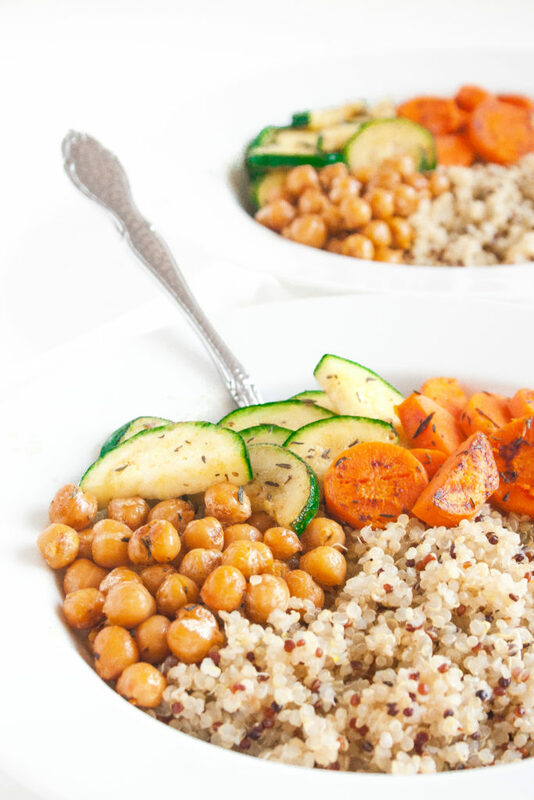 Assemble bowls with quinoa and chickpea vegetable mixture.